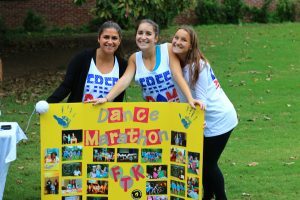 To donate online, please visit our VUDM Donor Drive . You can donate to a specific dancer or committee member by searching his or her name in the search bar on this page. All cash donations should be delivered to Karen Seezen in the Vanderbilt Greek Life Office with the participant’s name included.